3.5 stars "Ignoring an obvious need would be wrong." 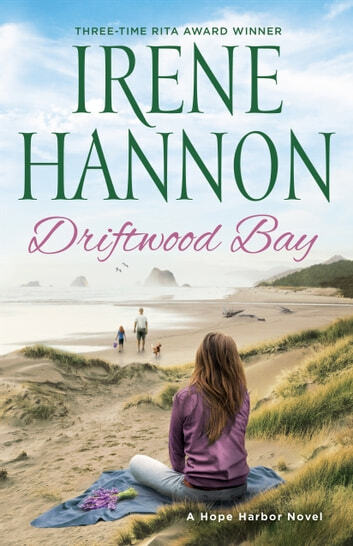 Jeannette Mason has been ignoring everything, and everyone around her, since moving to Hope Harbor, Oregon . . . . ..she has convinced herself that there's safety in loneliness . . . or so she thought. Who could have imagined that a precocious puppy from next door, digging up and absconding with her beloved lavender plants, could create such havoc in Jeannette's carefully guarded little corner of the world? Dr. Logan West impulsively purchased a pet beagle for his grieving niece, hoping it might provide her with some much needed companionship; Molly had lost so much in her young life, and now their move to Hope Harbor had not gone as smoothly as he had hoped. Only so far, Toby had managed to destroy everything in sight. When Logan's elusive neighbor shows up to complain about his trespassing pup, Logan quickly decides that maybe his dog has led them down the right path after all. . . . if Jeannette ever decides to take him at his word. 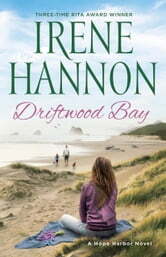 "Driftwood Bay" is beautifully layered; not only does it feature Jeannette and Logan's incremental journey towards freedom, but the author uses her secondary characters; a family inserted into the Hope Harbor community after fleeing war-torn Syria, to breathe life back into Jeannette's shriveled existence. It's the kind of story that becomes better and better with each turning page. Book provided courtesy of Baker Publishing through Interviews and Reviews. The opinions stated above are entirely my own.